Top Myths About France and French People - There are plenty of stereotypes about the French: they stink, women don't shave their underarms, they are rude, they hate Americans. Don't be fooled by this myths and urban legends. The truth is far more interesting. Avoiding the Rude French - Not only are most French people I've encountered civil, they were outright friendly, helpful and kind. They even went out of their way to help me! How could this be? Find out the secrets. France: Before You Go - Before you go to France, find out all the basics about customs requirements, the culture, weather, currency and more. France isn't just Paris. France is the biggest country in western Europe with a breathtaking variety of landscapes. There are other wonderful cities, diverse and fascinating regions, beautiful beaches, breathtaking mountains and even border territories ideal for day trips to other European cities. Find out where to go in France. Paris Travel Guide - Paris, the City of Light, is filled with thousands of hotels, attractions, shops and restaurants. Get help focusing on where to stay, where to eat, where to go and more basics before you go to Paris. Top French Cities You Probably Won't Visit (But Should) - Say "French city," and most people immediately think of Paris. But that's a bit like saying the only city in the U.S. is New York, or in the U.K. is London. France is filled with bustling, hip and happening cities that are well worth a visit. Top Beaches in France - France might be small, but it borders two major bodies of water: the Atlantic Ocean and the Mediterannean Sea. These miles of beachfront property are filled with delightful small villages and larger, bustling cities. France's Border Regions - Situated in the epicenter of Europe, France's border regions tempt with often-overlooked delights. By exploring the country's edges, you can find influences of Germany, Italy, Belgium, Spain and Switzerland--or even quickly cross over to visit these countries as well. Skiing in France - Perhaps you want to go skiing? France has some of the best skiing in Europe, from the Alps to the Pyrenees. Check out the main mountain ranges of France. River vacations - The rivers of France cross the country, giving the departments their names. Canals of France - Take a leisurely canal trip to get away from the main roads and cities and enjoy a holiday that will recharge your batteries. France is wonderful any time of year, whether you hit the Christmas markets in winter, see the blossoming of spring, enjoy the beaches and festivals in summer or do some leaf-peeping in autumn. Find out when to go to France, including major events and a monthly calendar. France Monthly Calendar, Weather and Events - No matter when you visit France, be prepared for the national holidays, typical weather, major events and more. The month-by-month calendar and trip planner discusses the pros and cons for each month, month-specific packing tips and more. Weather in France: Month by Month - Get an idea of what to expect from the weather in France with this month by month guide. France in the fall - Glorious colours, warm days, the grape harvest and crisp evenings around a roaring fire; France in autumn is a magical time. France in Winter - With its Christmas markets, its ski resorts and its Mediterranean beaches, France offers something for everyone in winter. There are many wonderful ways to get around France, whether you want the romance of train-hopping or the flexibility of having your own brand-new car to tour the country. Here is a guide to getting around France. Renault Eurodrive Buyback Car Rental Program - You can save money, drive a brand-new car, rent even if you're under age 25, and get free, included, no-deductible car rental insurance with the Renault Buyback Lease program. French Roads and Driving Advice - France is a lovely country to drive through. You can take the motorways if you're in a hurry, or get off and motor through small country roads, past little villages, stately rivers and rolling landscapes. Guide to Travel in France by Train - France is Europe's largest country, so it makes sense to take the train where you can. Check out this guide to train travel in France. Speed Between Paris and London in 2 hrs, 15 mins - The trip from London to Paris, and to Lille and Brussels on Eurostar is a great way to travel. Take the TGV - French TGV (Trains de grande vitesse or express trains) are the wonder of Europe. They get you to your destination very fast and you go through the heart of France's countryside. The new direct service from London St Pancras to Marseille goes via Lyon and Avignon and takes 6 hours, 47 minutes, without a change. France's hotels, inns, chambres d'hotes, camping and myriad other options can make it tough to decide where to stay. Here is a guide to the lodging and accommodations in France. France's Hotel Rating System - Are the mentions "two star" and "three star" hotel on travel web sites reliable? Find out how France classifies its hotels and what that means. Lodging Options in France - France's lodging options go well beyond hotels. There are gites, logis and chambres d'hotes (bed and breakfast). You can stay on a farm, rent an RV or sleep on a houseboat. You can save money by camping or splurge euros on a castle stay. Top French Chateau Hotels - Live like true royalty during your next visit to France. This country, with its rich history of elegant architecture and majestic castles, features several great castles that are open for overnight guests. Good Budget Options - France has a good selection of budget chains which give you exactly what they say. The French system is well organised, so you will not find any nasty surprises. Visiting France is wonderful, but it can be challenging. This is a unique country with interesting and sometimes surprising cultural differences. Here are some tips on understanding and embracing French culture and customs. France's Bad Side - You should be prepared for what you might regard as the bad, the ugly and the smelly before your visit, especially if you've never been to France. Here are all the details about France's bad side. The French Schedule - If you arrive in France, you might be coping with more than jet lag when it comes to timing. You will also discover that dining, shopping and sightseeing must bend to the French schedule. Instead of fighting it, surrender to the French time-table. Wearing Sneakers in France - Find out if it is acceptible to wear sneakers in France, or whether you will just stand out as a tourist. 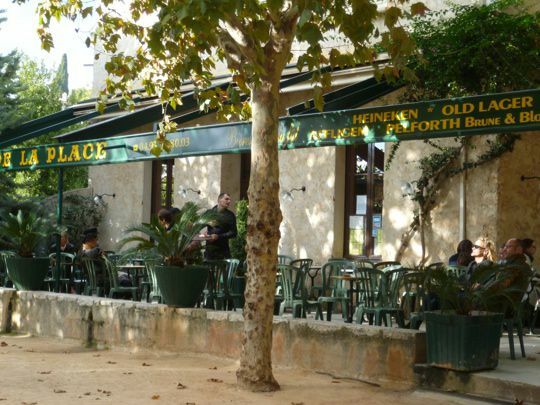 Tipping in France - Sitting at the terrace of a sidewalk cafe in Paris and sipping on a Perrier while watching passers-by is a pleasure many travelers promise themselves to experience when they are in Paris. But with the check comes the question: to tip or not to tip? How to Order Coffee in France - French cafés serve some of the world's best coffee, but each of us has our own preferences and a language barrier could prevent you from ordering the right coffee on the menu. If you can't have caffeine, this could be even more crucial. Many people think France is just too expensive, but that doesn't have to be true. Here are some secrets to affording a French vacation, including ways to pinch your pennies (or centimes), the best way to exchange currency and a travel budget calculator. France Budget Travel Tips - The euro vs dollar exchange rate changes all the time. If you are planning a trip and want to be sure you have enough money, use these France travel budget tips to save a euro here and there. Yes, it's true, you can afford a trip to France. How to Get Euros in France - If you visit France, one thing is certain: you will be spending money. Make sure you get the most bang for your euro by following these DOs and DON'Ts for exchanging cash. Now that you're ready to go to France, be sure you learn how to pack for a French vacation. Here are tips on packing for France, packing lightly, what to bring and some recommendations for travel packing items. Vacation Packing Checklist - Consult this list before your trip to France so you don't leave home missing those needed items. By all means, not everyone will need everything off this list. If you take everything on this list, you will NOT be packing light. Top Packing Must-Haves - Before you head to France, be sure to check off the items on this list while you pack. These are must-haves for your trip, and will make the vacation go much more smoothly. Packing Oh So Light - If you are visiting France, especially more than once city or taking the train, a light bag can make the difference between a pleasant or unpleasant experience.